I've been quite impressed with the sophistication of Austin Community College's international business programs, which go far beyond what I've seen elsewhere at the community college level. ACC's Center for Experiential Learning is a new program that aims to create a sort of clearinghouse for internship opportunities for ACC students. Besides the chance to working at an organization in the "real world", participants receive supervision, mentoring and evaluation in pursuit of specific learning objectives. For employers, hiring an ACC intern means far more than just cheap labor. Program participants are smart, highly motivated professionals-in-training who already have a grounding in valuable skills such as international business and supply chain management. An employer account at the CEL website allows firms to browse, search, filter, and save students' resumes and reach out to interesting candidates. The CEL also aims to help employers develop internship and "coop" (multi-semester) programs and take part in departmental industry advisory committees. It's a great way for local businesses to tap into up-and-coming talent, and maybe even find the star performer who can take them to the next level of success. The U.S. Small Business Administration is providing grants (free money!) of up to $5000 for qualified small businesses under the State Trade Expansion Program (STEP). The grants are intended to help small businesses launch or expand their export programs. In Texas these grants are being administered by the state Department of Agriculture, but recipients are not required to be in an agriculture-related business. To qualify, a company must be a "small business" under SBA rules and produce a product or service in Texas. 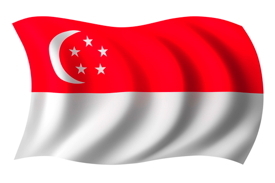 This Sunday, August 9, marks the 50th anniversary of independence for Singapore. The island city-state is celebrating the occasion with an elaborate series of events under the tag SG50. Singapore became independent in 1965 after a short-lived merger with Malaysia, having previously been a British possession. The British Empire left Singapore with English as the language of business, education, government, and media, along with an efficient legal system based on English common law. Over the past half-century, Singapore has been one of the world's great economic success stories. Its GDP at purchasing-power parity (PPP) passed that of the United States in 2004 and stood well over $80,000 in 2014. (Nominal GDP per capita is lower due to exchange rate effects.) The World Bank ranks Singapore number one in the world in its Ease of Doing Business rankings. The city-state boasts a bustling container port, an efficient airport and extensive refinery and petrochemical complex. Although its government has been accused of authoritarian tendencies — the ruling People's Action Party has never lost an election, and opposition voices have faced heavy-handed legal challenges in the past — Singaporean officials are famously free of corruption. Singapore is a major regional hub for commerce, finance, shipping, and travel. The modern city was founded in 1819 as a trading post of the British East India Company, and it remains true to its free port traditions today. Its container port is the second-busiest in the world, and its trade-to-GDP ratio is the world’s highest at over 400%. Some two-thirds of imports are re-exported to third countries in the region, and there is an extensive system of Free Trade Zones to facilitate re-export and transshipment. The U.S. Singapore Free Trade Agreement came into effect in 2004. Singapore was the 13th-leading export destination for U.S. goods in 2014. Its business culture is dynamic and firms are aggressive in pursuing new opportunities. 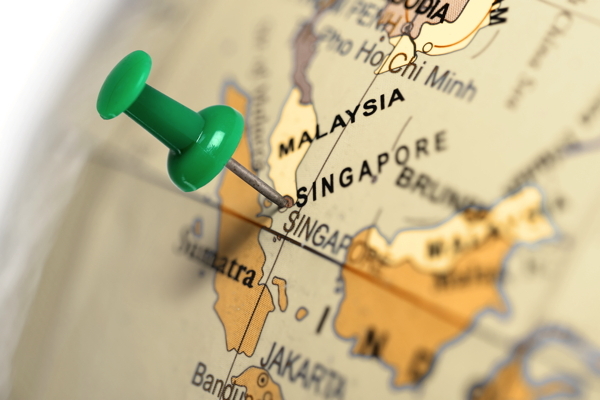 Many distributors already have extensive experience representing American suppliers not only in Singapore itself but across broader regional markets. In many ways Singapore offers the best of both worlds for American exporters — ready access to the rapidly growing emerging markets of Asia, in a business-friendly, English-speaking environment with an efficient and familiar legal system, strong intellectual property protections, and virtually no official corruption. With its business-friendly culture, Singapore is generally welcoming to both visitors and long-term residents from developed countries. (That said, it is a densely populated island nation with limited land and resources, and popular resistance to immigration has grown in recent years.) Michael Jahn, an American citizen and longtime Singapore resident, notes that business opportunities there are "definitely not just for big companies in Singapore. The Singaporean government invests in whole industries at a time, and small companies can get grants or other help." The country's close trade relations with other nations in the region are paralleled by travel opportunities, and Jahn has relished the chance to visit Malaysia, Vietnam, Cambodia, Thailand, Indonesia, Myanmar, Sri Lanka, China, and Japan wile living there. As American and European Union negotiators returned to the bargaining table this week for the eighth round of talks on a proposed Transatlantic Trade and Investment Partnership, political headwinds in Europe were approaching gale force. While protesters descended on the negotiation venue in Brussels, a fresh spate of leaked documents ignited new fears among the pact's opponents. Meanwhile a deputy minister in Greece's newly elected leftist government says his country's parliament "will never ratify" TTIP. With a new Congress in Washington and a new European Commission in Brussels, negotiators had promised a "fresh start" after last year's rising tide of skepticism among European consumer, environmental and labor groups, even as the American public remained largely oblivious. Like most international trade agreements, this one is being negotiated behind closed doors. Much to the Commission's dismay, globalization opponents have filled the resulting information vacuum with increasingly dire forebodings, from a flood of GMOs and chlorine-soaked chicken in supermarkets to forced privatization of Britain's National Health Service. Much of the alarm owes more to stereotypes of the United States as home of "wild-west capitalism" and to rampant mistrust of institutions in the wake of the global financial crisis than to anything in reality. The European Commission has repeatedly denied that TTIP will weaken existing safety and environmental regulations or impair governments' ability to regulate and is trying to counter fears by holding public consultations and publishing some of its negotiating drafts. But the "consolidated texts" documenting the outcomes of previous negotiating rounds have remained a closely guarded secret. Germany's Tagesspiegel recently published an article detailing the restrictive rules for access to the documents that the American side has insisted on, even for European national trade officials (article in German with link to access rules document in English). Probably the most serious objection to TTIP has centered on proposed "investor-state dispute settlement" (ISDS) mechanisms that would allow corporations to sue governments over regulatory actions in special tribunals, bypassing national court systems. Although ISDS is already part of hundreds of trade agreements, including many that individual EU member states have concluded with each other or the US, its inclusion in TTIP has drawn protests throughout Europe. An anti-TTIP petition focusing on ISDS gathered over a million signatures. Representatives of several national governments, including heavyweights like Germany and France, have also spoken out against ISDS, but so far none has proposed amending the Commission's negotiating mandate to exclude it. Trade Commissioner Cecilia Malmström has argued that ISDS needs to be part of TTIP precisely because the existing system "needs to be quite dramatically reformed." But proposals such as adopting UN-sponsored transparency rules seem unlikely to placate critics. For now, the Commission has suspended negotiations on ISDS pending further consultations. Impeccably pro-business voices including the Cato Institute and the Financial Times have advocated jettisoning ISDS to smooth passage of TTIP as a whole. (For whatever it's worth, this is my own position as well.) TTIP without ISDS would still be a landmark achievement. But fresh opposition to the pact's proposed regulatory cooperation provisions strikes at TTIP's heart. Measures for harmonization and/or mutual recognition of regulations and technical standards have been part of the TTIP blueprint from the beginning. Indeed, given the already-low tariffs on most goods in transatlantic trade, they would be the source of much of the agreement's benefits. Potential cost savings for small and medium enterprises from eliminating duplicate certification and parallel product lines have been a major selling point for proponents. But the details in a draft European proposal for the Regulatory Cooperation chapter leaked this week have set off new alarm bells in the opposition camp. The draft calls for an "early warning" procedure in which each side would periodically submit plans for future laws and regulations to the other for consultation. Foreign and domestic "stakeholders" would then be invited to "provide input through a public consultation process" — a new venue, critics say, for corporate lobbyists to block regulations and shape legislation to their own liking. Proposed new rules would undergo an "impact assessment" to gauge their potential effects on trade and investment, a procedure that critics insist is "tilted towards the interests of business, not citizens." Moreover, the proposal would institute "regulatory exchanges" and a bilateral Regulatory Cooperation Body that would, in effect, give each side a voice in formulating the other's future laws and regulatory framework. The normally staid Frankfurter Allgemeine Zeitung, hardly a hotbed of radical anti-globalization sentiment, responded to the draft with a startled article under the headline "America to have a say in our laws." Business groups have only belatedly started more actively injecting their pro-TTIP voices into the public debate. Needless to say, they've had a role in setting the agenda from the start, but it's only recently that vigorous high-profile defenses of the trade pact have started appearing from organizations like the US National Association of Manufacturers, the German Bundesverband der Deutschen Industrie, the Confederation of Swedish Enterprise, the European Association of Automotive Suppliers, and the American Motor & Equipment Manufacturers Association. The heady days of early 2013, when the parties hoped to wrap up negotiations by the end of 2014, are all but forgotten. Most recently, Commissioner Malmström suggested that "the bare bones of an agreement" might be completed by the end of this year. Without a great deal more work to counter the naysayers, winning ratification from the European Parliament and 28 member states' parliaments will be an uphill struggle. Want to learn more about TTIP? A good place to start is the United States Trade Representative's online TTIP Information Center. The second round of Transatlantic Trade and Investment Partnership (TTIP) negotiations between the United States and the European Union — what US Trade Representative Michael Froman has called the start of “real negotiations” — is scheduled to commence on October 7. If successful, TTIP will be the biggest free trade agreement ever negotiated. Already, despite the economic troubles of recent years, the United States and European Union together still account for half of the world's GDP and roughly one-third of world trade. The potential gains from expanding trade between them could be enormous, representing a significant economic “stimulus” without the need for additional government spending. A German study projects that a “deep agreement” addressing a full spectrum of non-tariff barriers could yield a 13.4% boost in per capita real income for the United States, 5% for Europe, though other estimates are more modest. A study commissioned by the British Embassy in Washington and published this week sets out detailed job growth predictions for each of the fifty states. The US International Trade Commission was scheduled to publish an impact assessment this week, but the report has not yet appeared on the ITC’s website. For the most part, tariffs between the two sides are low already, although the EU does impose duties of 8% on motor vehicles (including parts) and 14.6% on processed foods. Outside those sectors, major gains will come from harmonization and/or mutual recognition of regulations, standards, and licensing. The cost savings to businesses from avoiding duplicate compliance efforts and the need to maintain parallel product lines will be considerable. Although the ultimate public health and safety outcomes in the US and EU are broadly similar, American and European regulators are divided by profound philosophical differences. The precautionary principle embodied in the European regulatory approach is anathema to American business. TTIP is hardly likely to reconcile these differences at a stroke. Instead, a best-case outcome might entail the establishment of joint institutions and a procedural framework for advancing harmonization over a period of years. If the initiative succeeds, however, the sheer size of the transatlantic market will ensure that its harmonized rules, regulations and standards become the de facto standards for the world. Indeed, some observers see TTIP largely as an effort to counter China’s growing influence on the world economic stage. Officials on both sides emphasize an ambitious 2014 target for completing the negotiations, hoping to head off public skepticism in light of the many political challenges to be overcome and the seeming failure of the multilateral Doha Round trade negotiations. Indeed, some are painting TTIP as a potential end-run around the multilateral WTO framework. Taking a cue from the EU's own history of ongoing enlargement, German officials have expressed a desire to open TTIP to third parties in the future as a means to set higher global standards. Each side's traditional trading partners will have plenty of motivation to sign up, as the Bertelsmann Stiftung/Ifo Institute study mentioned above calculates GDP losses between 2.5% and 9.5% to those countries from diversion of trade. Reaching a comprehensive agreement will be far from easy. Recent revelations of NSA data gathering have raised hackles in Europe and will make it harder to negotiate access to EU markets for US tech companies. Other issues have been bones of contention between the two parties for decades. One of these, the audio-visual sector, has already been excluded from the European Commission's negotiating mandate at the insistence of France, which considers cultural heritage goods such as film sacrosanct. It is unclear just how firm the exclusion will be if push comes to shove; German media have presented it as more of a bargaining chip than a no-go zone. The United States for its part will be loth to give up "Buy American" public procurement policies, and it remains unclear how the fifty states could be induced to abandon their own buy-local policies. Meanwhile, environmental and consumer groups are already warning of a potential regulatory race to the bottom. It's a sure bet that corporate lobbyists will be pushing for a regulatory framework that is not merely harmonized, but also looser overall. Both sides have taken steps to counter accusations of lack of transparency. 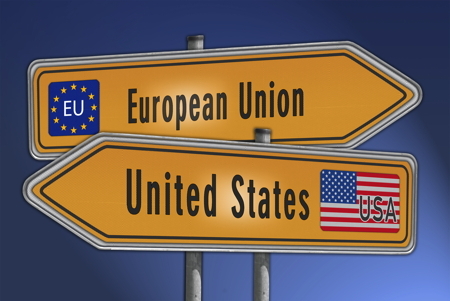 The US has released the names of its lead negotiators and launched a series of small business roundtables, while the EU has published six of its ten initial position papers. Political will to reach an agreement seems strong on both sides. The initial July round of negotiations focused on procedure and priorities and set up 24 working groups to address specific issues. These groups are currently preparing the October round of negotiations, to be followed by a third round in December. In January USTR From an will meet EU Commissioner for Trade Karel De Gucht for a “stock-taking exercise” to assess progress. Solopreneur David Seah offers a thinking-out-loud protocol of his steps in confronting the "big hairy inconvenient mess" of setting up Paypal to take international orders. 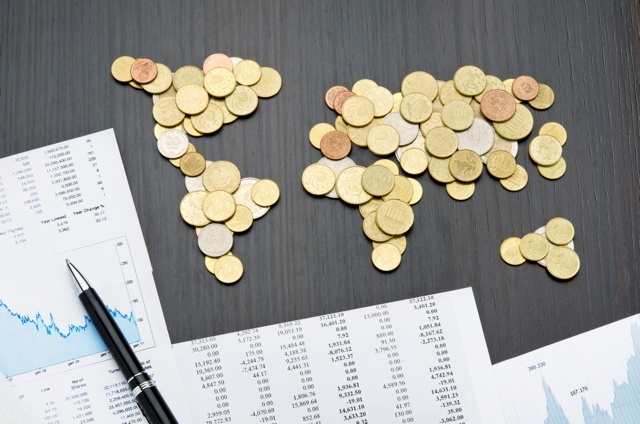 Sometimes microglobalization is high-level market analysis and product strategy; other times it's the tedious grunt work of getting the business processes into place to be able to serve customers abroad.